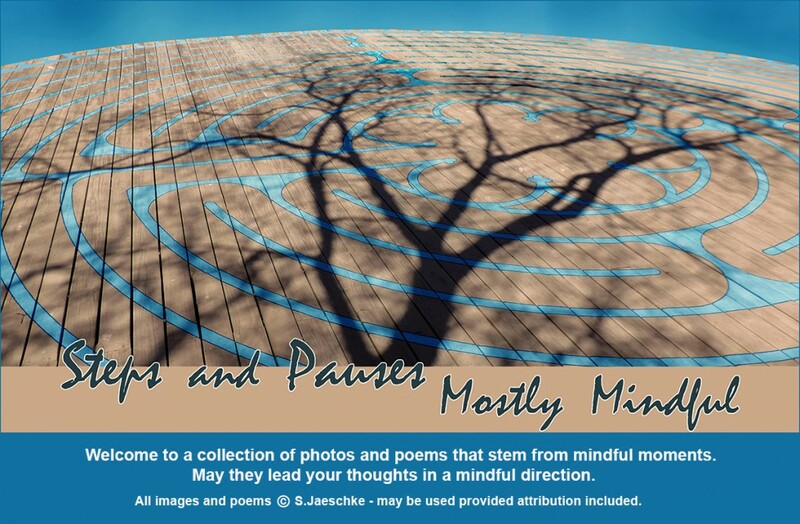 Posted on 2019-01-13 2019-01-13 by Jazz Jaeschke	This entry was posted in Feeling The Wait, Grief, Relationships and tagged Mindfulness, Mother-Daughter, photography, Poetry, Waiting Room. Bookmark the permalink. Thank you, Ken … observed and written in the female orientation, but certainly applies across genders. Love the art in the window. Pleasant surroundings make for a pleasant wait. After almost 20 years, I still miss my mom, too. I moved away when I was young and did not help her with doctor visits. My daughters have moved away, too. So I am grateful that I can still drive and walk and see, also. It seems like even the most mundane of events (waiting) can generate a myriad of emotions and perspectives. Thanks for sharing this one with us. Wonderful writing! I too know the feeling, although I’m the younger person taking my parenys to the clinic and hospitals often. Enjoyed reading this! krcc, thank you for your enthusiasm. And bless you for assisting your elders! Being someone who takes my parents to a hospital or clinic frequently for the past several years, this wonderful poem by Jazz had so hit home for me. Luanne, thank you. Waiting on one thing opens time to ponder other things, huh? Daddy died suddenly and unexpectedly when I was still in highschool. Mother died at 72 (29 years ago) after an extended hospitalization – but up until that, she was mobile with a walker and extremely independent. I missed having a truly elderly parent. Perhaps I’ll get to experience assistance from the receiving end. And maybe not. My son’s several states away, and my daughter balances multiple concurrent jobs. Here’s hoping blogging leads to agile longevity! “oh, to still have Mother” – I 100% agree! I really liked your poem and following the thoughts that emerge when we observe what is around us – the connections we make with others. Sometimes when I am waiting alone in the doctor’s office, I think I am surrounded by stories. I like how you observe and reflect. Sarah, thank you – I agree about the stories embodied in waiting rooms! Or train stations. Or restaurants. The energy of a doctor’s waiting room is conducive to reflection (more so than a busy train station!). A writer who could read minds might well come away with best-sellers. Funny the moments that catch us off guard – grief and loneliness never really far away. VJ, thanks – “off guard” is a good way to put it. I wasn’t mentally working through any big issue, wasn’t focused, no fences around my perceptions. And here came the parade … very touching little scenes I might’ve missed. Yes, I’ve had moments like that too. This is a poignant reflection. My mom is still alive, but at ninety-six she’s not the woman she was, and not the woman I used to call just to tell her things or to ask advice. Thank you, Merril. I hope to live only as long as I enjoy being alive enough that others want to be in my company. That said, my goal is to face whatever comes with curious respect. I wonder what my mother would be like if she were still alive (101), if she left at 72 because she was about to become “someone else”, or if only her body failed. Questions w/o answers. Meanwhile, I still get urges to call her for advice.